Zimbabwe Association of Doctors for Human Rights (ZADHR) and Zimbabwe Lawyers for Human Rights (ZLHR) are appalled by the government’s arbitrary decision to dismiss all striking nurses from their positions at state-run hospitals. Government on Tuesday 17 April 2018, the eve of Zimbabwe’s independence fired nurses employed at state-run hospitals, who had been on a work boycott protesting against poor salaries and unfavourable working conditions. Vice President Constantino Chiwenga, who heads the social services cluster announced that government would replace the dismissed nurses with some retired and unemployed qualified nurses and accused the striking health practitioners of being influenced by political motives in staging their protest. ZADHR and ZLHR condemn this dangerous and irresponsible response by the government as illogical and that it will have serious consequences on the welfare of people, who have been condemned to be attended to by some inexperienced and or retired nurses. The summary dismissal of the nurses is in contravention of constitutionally guaranteed rights particularly section 65 of the Constitution, which guarantees express labour rights to every person except for members of the security services. 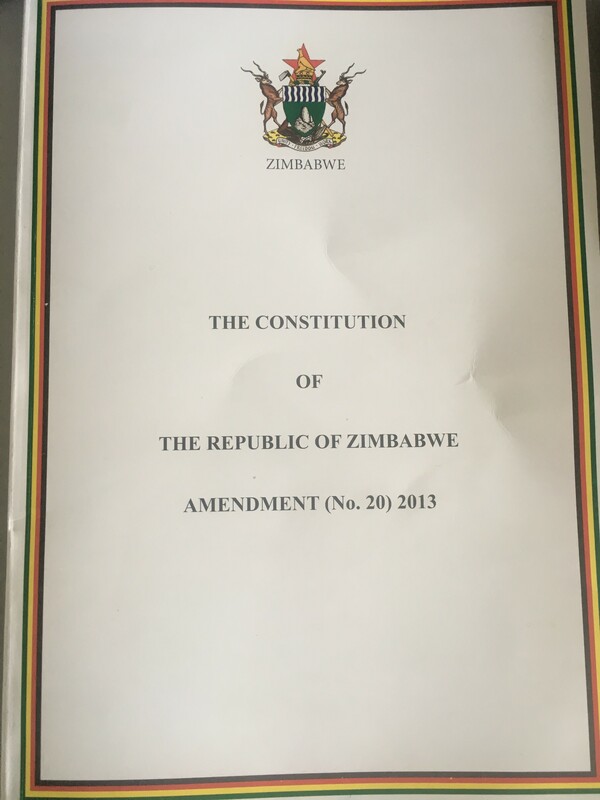 ZADHR and ZLHR would like to draw the government’s attention to section 65(3)&(4) of the Constitution which states that “every employee has the right to participate in collective job action, including the right to strike, sit in, withdraw their labour and to take other similar concerted action” and “every employee is entitled to just, equitable and satisfactory conditions of work”. Government needs to appreciate that this fundamental provision which came into force in 2013 means that for the first time in the history of labour relations in Zimbabwe, the right to fair labour standards and practices has become enshrined in the Declaration of Rights as a basic human right. Further, the summary dismissal by the Vice President contravenes section 68 of the Constitution that guarantees the right of every person to administrative conduct that is lawful, prompt, efficient, reasonable, proportionate, impartial and both substantively and procedurally fair. Government has been reluctant in responding to the legitimate concerns raised by nurses and has over the years not fully addressed the serious consequences brought about by the unprecedented exodus of health practitioners in search of greener pastures due to the same concerns which are being raised by nurses now. ZADHR and ZLHR reminds government that it has a responsibility to ensure that citizens’ rights to health care is not compromised and should immediately implement measures to resolve the situation at state-run hospitals. As organisations which strive to foster a culture of human rights, ZADHR and ZLHR stand in solidarity with the dismissed workers and hold government accountable for the blatant breach of the health workers’ fundamental rights and the Constitution as well as any consequences that will arise from staff shortages at health institutions. Qina Sisebenzi Qina! Shinga Mushandi Shinga! Long live Zimbabwean workers!